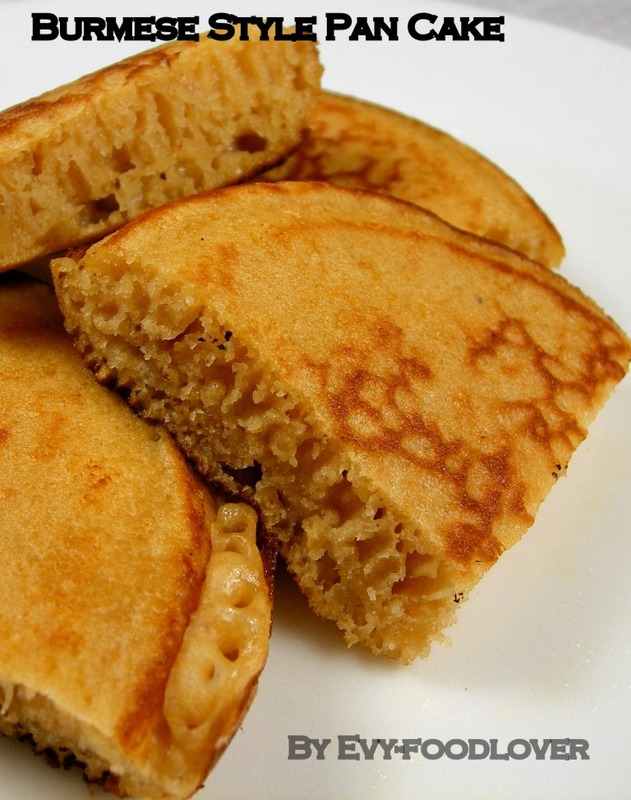 This pancake is a little different from usual pancake as I've adjusted the recipe by adding some rice flour. In fact, I am trying to make Burmese pancake using store bought pancake mix. 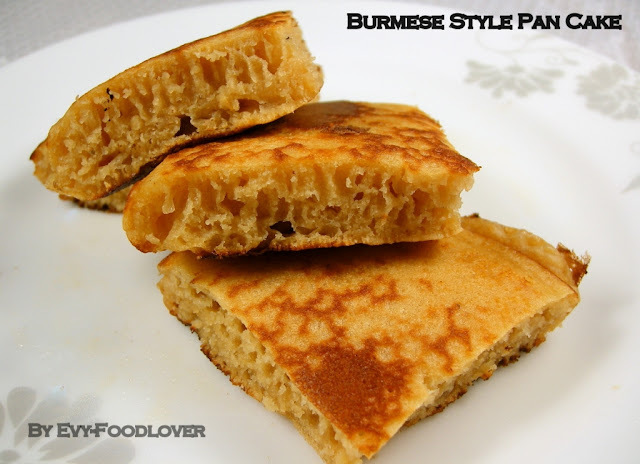 Personally, I prefer Burmese version with a firm texture. Thanks to my fellow blogger, Iora, who shared this lovely recipe. With limited ingredients available at home, I tweak the recipe further. To my surprise, the result is amazing and it is simply delicious. Mix all ingredients, set it aside. Heat butter in small pan and add in the batter. Sprinkle the poppy seed and allow it to cook for about 2 mins. Then turn to the other side and cook for another 2 mins. Serve hot. where can i buy poppy seeds in singapore? i've looked for poppy seeds in AMK fair price and siengsong but in vain. many thanks! Hello, I am afraid you can't find those in the places that you mentioned. But most Burmese shops @Peninsula plaza carry this stuff. I made it but it doesn't taste good, not puffy enough I guess. အမေရ.. ညီမလုပ္တာ ဘာမွားလို႕လဲေတာ့ မသိဘူး.. မုန္႕သားက မပြလာဘူး၊ ၿပီးေတာ့ ေထာပတ္အစား.. vegetarian margarine သံုးလိုက္လို႕မ်ားလား၊ ေနာက္တစ္ခုက အိုးဆိုဒ္က 18 cm ကို သံုးထားတာပါ.. ျပန္ေျပာေပးပါေနာ္..
ညီမက pancake အမႈန္႕ထုပ္ သံုးလိုက္တာေနာ္အမ.. က်န္တာေတြကေတာ့ အမ ေျပာတဲ့ အခ်ိဳးအတိုင္းပါပဲ..
ဟုတ္အမ.. ညီမ ထပ္လုပ္ၾကည္႕လို႕ အဆင္ေျပရင္ ေျပာမယ္ေနာ္.. ေက်းဇူးပါ.. I tried to do it, but it's not seems like ဘိန္းမုန္႔. It look like pan cake only.Specially the layer. But the taste is nice. Kindly give me some more suggestion to be look like ဘိန္းမုန္႔.